Sharp claws and fangs of steel, avoid catastrophes, meteors, and bring together the strongest dinosaurs! 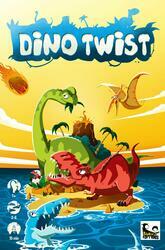 Dino Twist is a fast and clever card game where players will have to fight the Dinos present on Twist Island, then pick them up on their islands to score the most points. But beware, they will face events that will spice up the fighting!